Need your car, truck or motorcycle shipped anywhere in the USA at an affordable rate? as well as the zip codes from point A to Point B for a free quote! 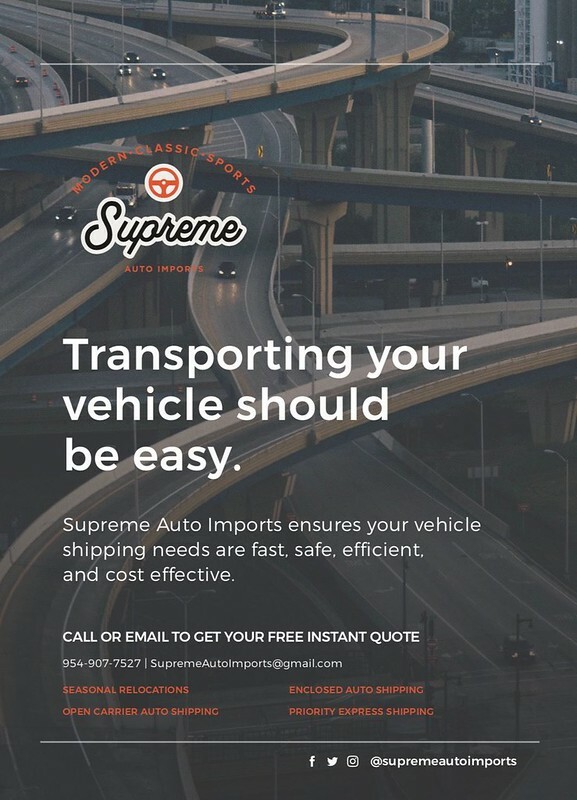 I’ve worked with Supreme Auto Imports multiple times within the last year and have had great experiences each time. Highly recommended! I would not hesitate to call him again. Having just recently shipped my ZHP and another car from Tampa to Portland via Christian, I recommend going through him as well.